VFROZ had the most liked content! If the PCV made your motor rev to 50K, there will be plenty of people willing to buy it off you 🙂 It’s surprising that it took Dynojet so long to pull this, as it has never worked on an 00/01 AFAIK. If you bought it new you should be able to argue for a refund. I did a 100km ride today on one of my favourite roads with a near new R1200RS. 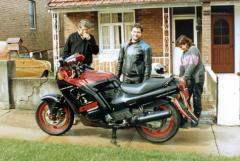 It had a carbon GPR pipe with no baffle which sounded great, and was running Road 5 tyres. It has a more upright riding position to the 5G, with a lot more leg room. Serious amount of torque everywhere (except at the top where it runs out of puff), up and down quick shifter, bloody fantastic brakes and very stable on fast corners. Really good throttle response and a fantastic rear end. But I couldn't get over the complete lack of feel from the front end, it was wooden and felt remote. 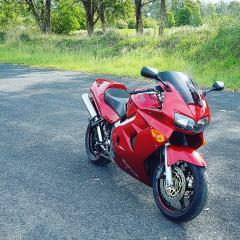 My mate who owns it is a California Superbike School coach, and when I mentioned my opinion on the front end he stated that he's lost the front end twice now with no warning at all, he still has his old R1150R with the duolever front end and reckons it's a better bike that he can throw around a lot more (he uses the same tyres on it). I'll take them off your hands if you do and the OP doesn't want them. If you're asking how the new shim stack on the top compares to the old C33 stack on the bottom, the answer is they are fairly the same. Slightly stiffer bottom shims will slightly change how and when the shims bend, but they are not that much different. They might give a bit more flow on high speed bumps from my reading. But if you're doing compression valves, you need to do rebound as well. I have an 8 spoke on the back, so the SP2 would be the best match but very hard to find. With the 320mm discs, you don't see much of the front wheel, but it would be nice to get something that looks better. I'll take a 3 spoke if the price was right, but I've only found them for around AU$500, a bit much I think. 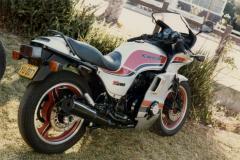 The CB1000R didn't sell well here, but I'll take a look. Cheers mate. 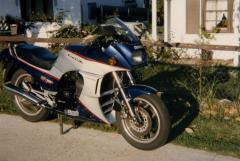 Photos of past bikes. Gone but not forgotten. There is actually a few brands still making the muffler for the 5G so the 6G can't be much different. Sometimes you just have to contact manufacturer and ask the question. GPR come to mind. Just bumping this as it might have been missed during the upgrade. There must be someone with an answer. What’s the top clamp diameter on 7th gen? Yep, they are 50mm. 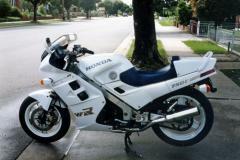 Im using the VFR1200 triples on my 5G conversion with SP1 forks. I've shimmed the bottom clamp as the SP1 forks are 53mm and 1200 are 54mm. A late reply but here it goes. Yes and no. To put both bikes in perspective you need to realize that the VFR being a V4 sounds lazy compared to an in-line 4, but it’s a 4 nevertheless. 4’s rev a lot more than parallel twins. So ridden with gusto or 2 up you would never be under 6500rpm. 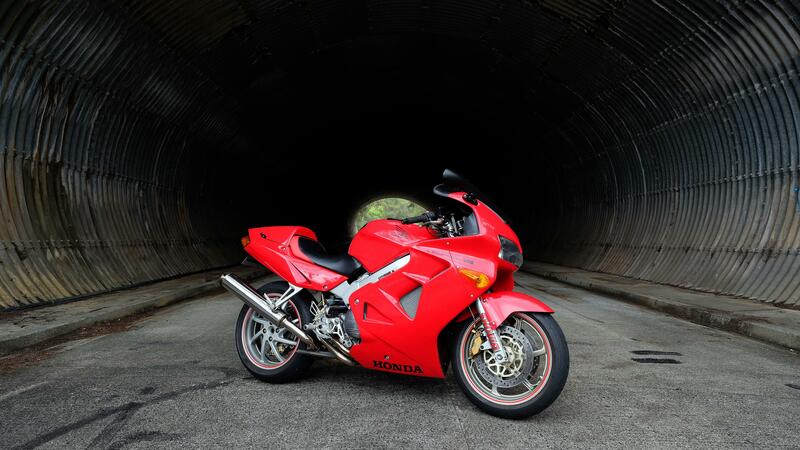 So to get a more accurate comparison you need to shift the VFR power curve to the left so they both end together. Now compare the VFR from 6500 to 10500, with the F880 4500 to 8500 and you get a different picture. Ive never ridden the F800 but I believe it’s very bland. I'm going to do an SP1 front end swap to my 5G. I have everything except front wheel/discs. I'm using the VFR1200 triples, which have the same fork spacing as the 929/954, SP1/2 and CBR1000RR, and I will need 320mm discs. 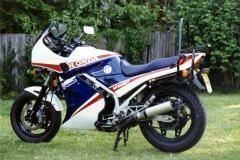 Having trouble finding an SP1/2 front wheel, and they are asking too much for a CBR1000rr. What other options do I have? Does the 600RR front wheel have the same disc mount distance and disc offset? Honda are pretty good at using the same sizes of stuff across many bikes but having trouble getting accurate information on this. Any help will be much appreciated. Because we can. 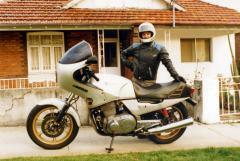 I refuse to stop fideling with my bike, I know it makes no financial sense, but such is life. I'm going to buy at 765 Street Triple R this year with plans to stick a Daytona fairing on it, once I do I will probably turn my 5G into a naked with major weight loss the target. Crazy I know. Why? Because I can. Did you do a wet compression test? i would suspect the valves might have something to do with the low numbers. Any valve that was sitting in the open position is susceptible to a bit of corrosion forming and giving you low compression. If I had a spare motor sitting there, I would deffinetly pull the head and redo all the valves and springs/seals before I installed it.